These throwback images are wrapped up in good feels. They might awaken in you a desire to look back through that rose-colored lens of nostalgia, to a goldie oldie of a time, when you chewed on OUCH! bubble gum, while wielding your very own power glove. So, enjoy a look back at an era since passed! Get outta here, Yoko Ono. You have a phil 101 paper to finish back at your dorm. Cause it's due tomorrow at 9am. This bout of funny, creative inspiration follows Donald Trump recently tweeting out that he was slated to be Time Person of the Year, until the magazine itself had to reach out on Twitter, to correct the fake news from the dude himself. We're impressed with the results. These are pretty great. "Ah! What a beautiful morning. I’ll just roll over and look at my phone. Oh, look at that, TIME picked their person of the year, and it’s… Oh, would you look at that? That billionaire reality TV game show host who won the presidency last month is TIME’s person of the year? You don’t say. Well, back to bed for me for the next four years." Before our president-elect Tweets out that the Person of the Year honor he won was rigged somehow, enjoy what Twitter had to say. They weren’t really sure how to deal with it either. When Lydia Coutré took a trip to study abroad in Italy she took along some digital versions of her mom's old vacation slides. She matched up locations and camera shots to recreate the same photos her mother took 30 years ago. Now she's got side by side snapshots of how things have changed since then. 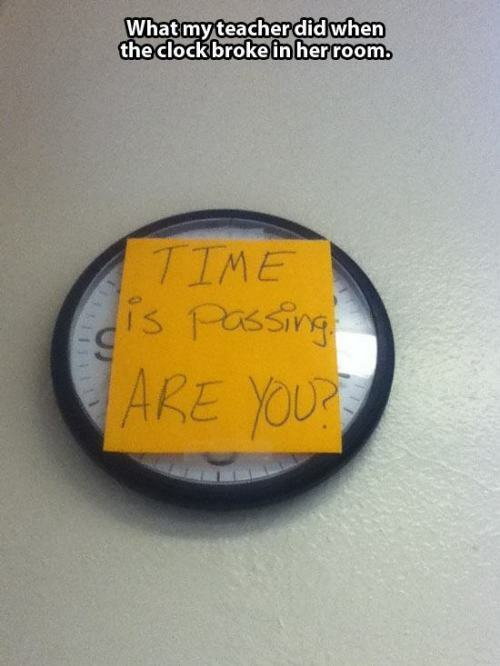 Time is Like, Made Up of Numbers and Maths, Right? Numbers and Time are so Wibbily Wobbly Aren't They? Are You Paying Attention or Just Paying Tuition?